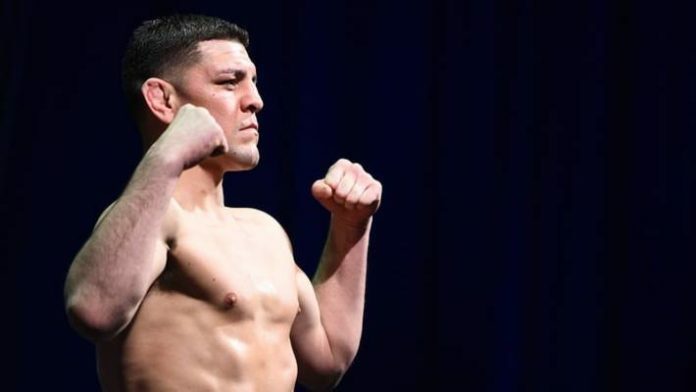 Gilbert Melendez believes Nick Diaz has hung up his gloves. The Diaz brothers are well known in the world of mixed martial arts. At one point, Nick was the star with his stunning submission win over Takanori Gomi which was later changed to a No Contest due to a positive drug test for marijuana. There’s also Nick’s stellar run as the Strikeforce welterweight champion. It was Nate’s turn to shine when he stunned Conor McGregor via submission back in March 2016. While McGregor won the rematch later that same year, their feud is in the history books as one of the best of all time. Nick hasn’t competed since Jan. 2015. He initially dropped a unanimous decision to Anderson Silva, but the bout result was changed to a No Contest when Silva popped for performance enhancing drugs. Nick was booked for a bout with Jorge Masvidal on March 2 at UFC 235, but that didn’t work out. Do you think Nick Diaz is truly done with MMA competition?